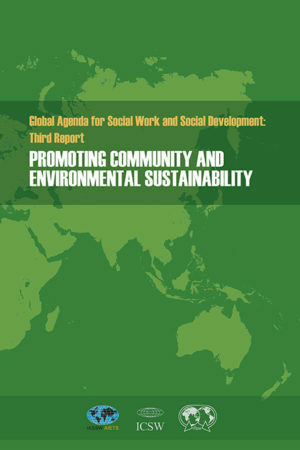 Incredible work is being done all over the world by social workers addressing issues at the nexus of community and environmental sustainability. 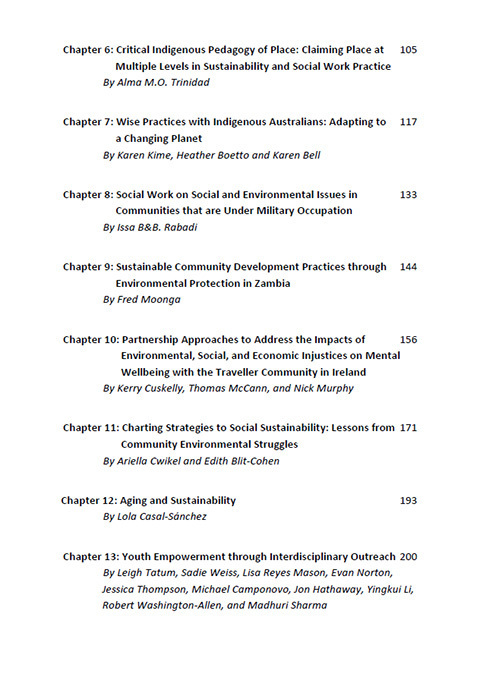 This volume of the workbook series focuses primarily on Indigenous voices and knowledge, ecotherapeutic practices, and the interdisciplinary nature of sustainability in social work. 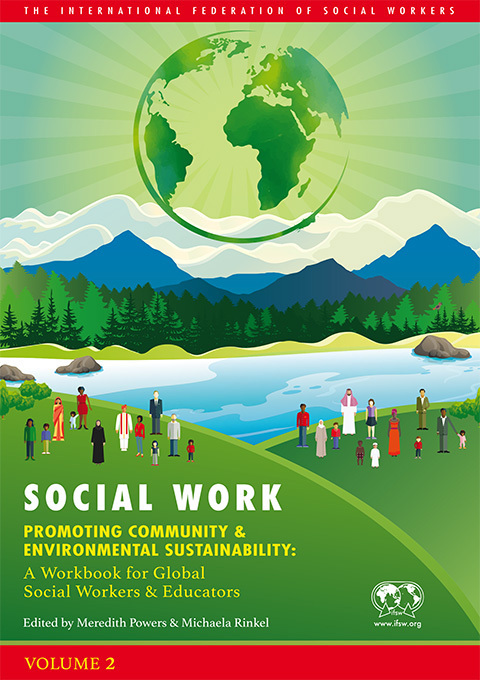 Incredible work is being done all over the world by social workers addressing issues at the nexus of community and environmental sustainability. 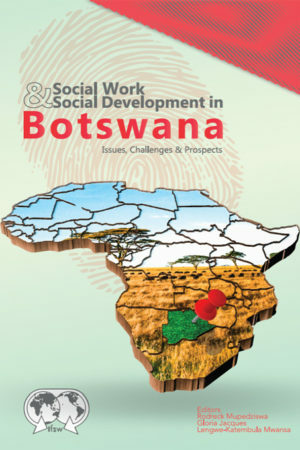 We hope this book will inspire you, whether you have been involved with these issues for decades, or you are new to and curious about the topic. 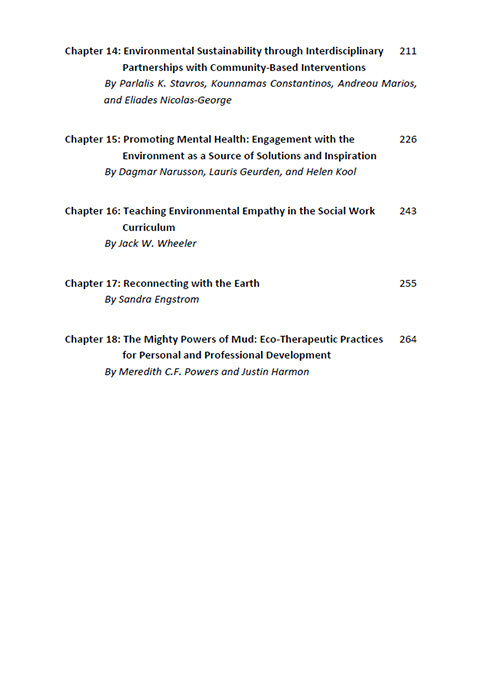 This volume of the workbook series focuses primarily on Indigenous voices and knowledge, ecotherapeutic practices, and the interdisciplinary nature of sustainability in social work. 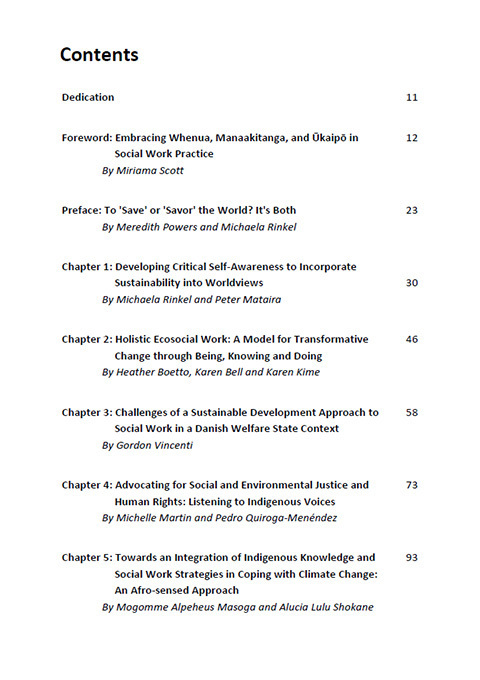 As allies with Indigenous peoples, we aim for this workbook resource to make space for those working to decolonize, especially within the social work profession in education, research, and practice. 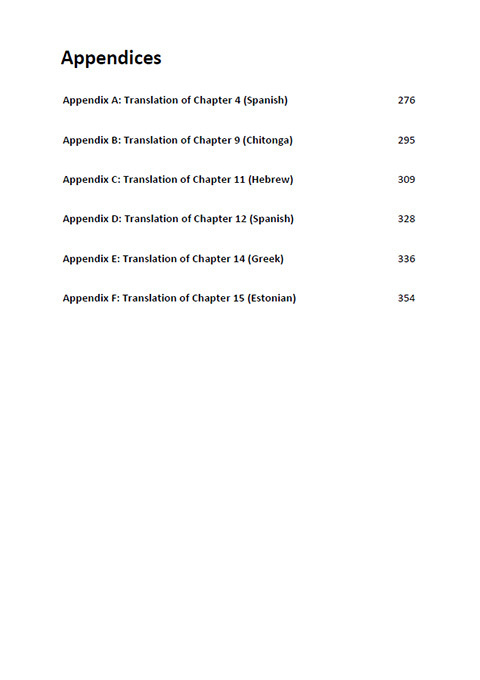 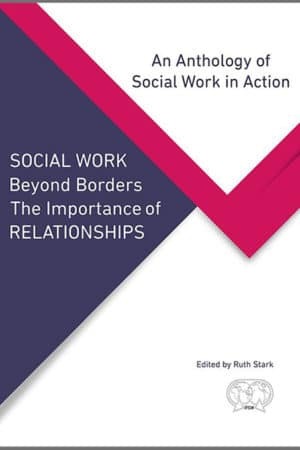 This book is formatted as a workbook, with short lessons accompanied by exercises that help you apply the lessons theoretically and in your own practice. 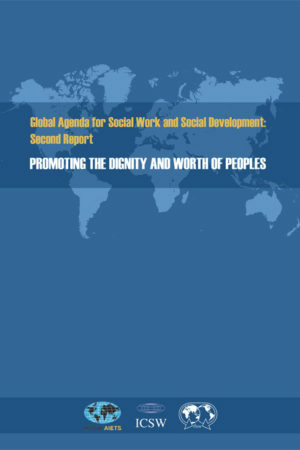 It is intended as a tool for international social work practitioners, students, and educators to help advance the Global Agenda for Social Work and Social Development theme of working toward environmental sustainability. 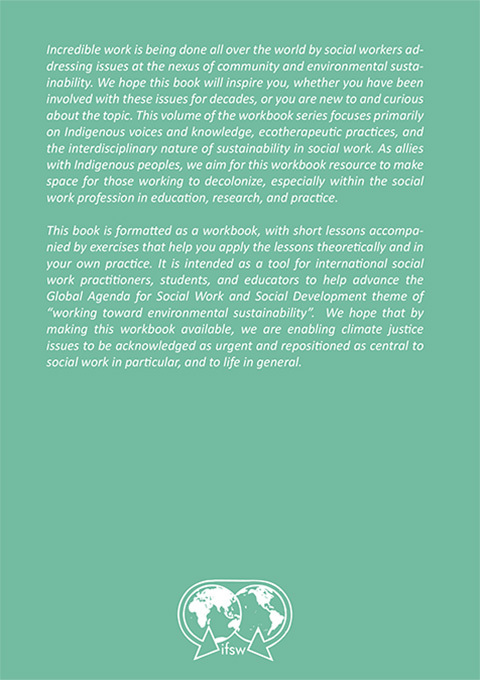 We hope that by making this workbook available, we are enabling climate justice issues to be acknowledged as urgent and repositioned as central to social work in particular, and to life in general.